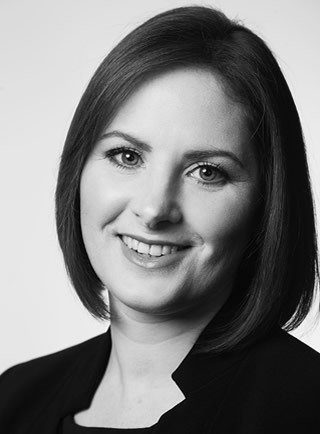 Clodagh Sheehan (B Comm., AIIPM, RPA; QFA; PTP ) – Managing Director – A business graduate of UCC, Clodagh is one of the founding members of Accuro which was established in March 2004. Clodagh has over 17 years’ experience in managing and administering Occupational Pension Scheme & Group Risk arrangements. Clodagh’s expertise is in the area of creating tailor-made pension schemes for Employers, advising Trustees on their roles & responsibilities and educating Scheme Members on their retirement provision. In 2016 Clodagh was appointed to the Board of Directors of the LIA (Life Insurance Association) and was awarded the 2016 Network Cork Business Woman of the Year in the SME (0-5 Employee) Category. In 2017, she qualified as a Pension Trustee Practitioner (PTP). Valerie joined Accuro in November 2010. She previously worked in the Life & Pensions sector and has over 14 years’ experience in Group Pensions administration. Prior to this Valerie worked in reinsurance administration in both London and Sydney. Valerie is currently working towards completing her Retirement Planning Advisor qualifications. Dorothy joined Accuro in May 2017 having previously worked as a customer services manager and mortgage advisor for a leading Irish banking institution. Dorothy is a Qualified Financial Advisor and a member of the Banking Institute of Ireland.